What Makes Asphalt Shingles a Lasting Roof Choice? Your roof provides protection from the elements. It’s your first line of defense against the heat of the sun, rain, hail, and snow. As it is constantly exposed to different elements, it is also susceptible to damage. That’s why if you’re going to replace your roof this season, choose the right material that can last long against any weather conditions. Kroll Construction, experts in roofing and wood window replacement in Detroit, Michigan, highly recommends asphalt shingles. 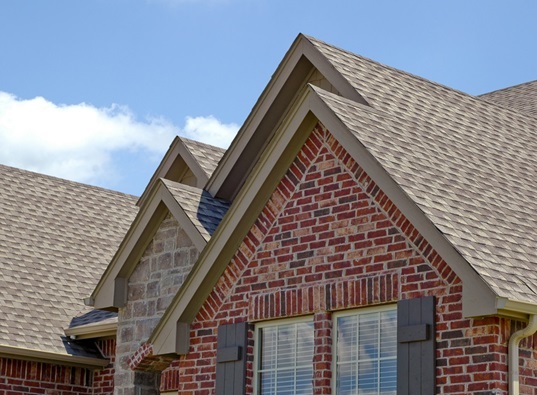 Asphalt shingles are one of the most popular roofing materials in the US today. Aside from being an affordable option, asphalt shingles are also aesthetically versatile. That’s because these come in a variety of textures and colors that can match any home architectural design. Asphalt shingles are also lightweight compared with metal, slate, or tile roofs. The material wouldn’t put much pressure on your roof decking, truss, and rafters, making your roof much more durable. Furthermore, asphalt shingles stay strong against different weather conditions, depending on your maintenance. In fact, asphalt shingles can have a lifespan anywhere between fifteen to thirty years! When it comes to roofing projects, you should choose a trained and experienced contractor that ensures the proper installation of your new asphalt shingle roof. Choose Kroll Construction, the top experts on roofing and wood window replacement in Detroit, MI. We’ve been in business for more than fifty years, so that tells you a lot about our experience. Moreover, as we are certified installers by leading roofing manufacturers such as IKO and Owens Corning, you can be sure of our expertise in roofing installation. If you want to learn more about our company, products, and services, just give us a call and we will be more than happy to assist you with your questions.